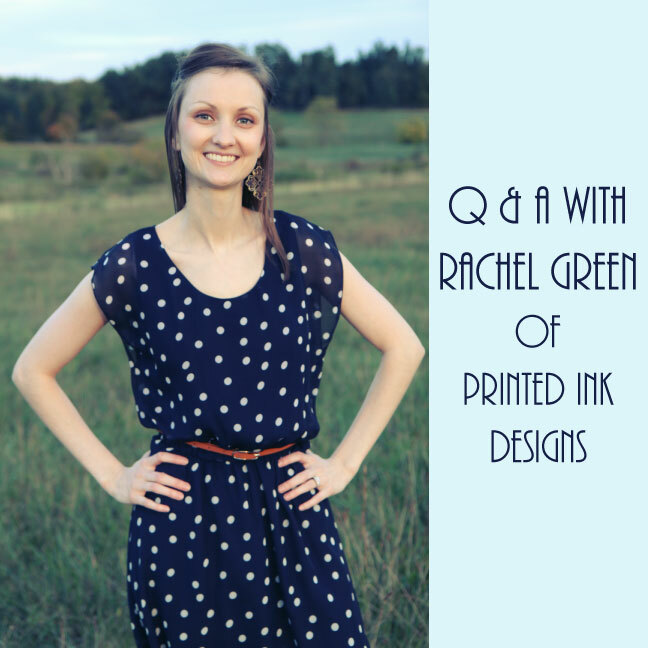 We continue our interview series today with Rachel Green of Printed Ink Designs. 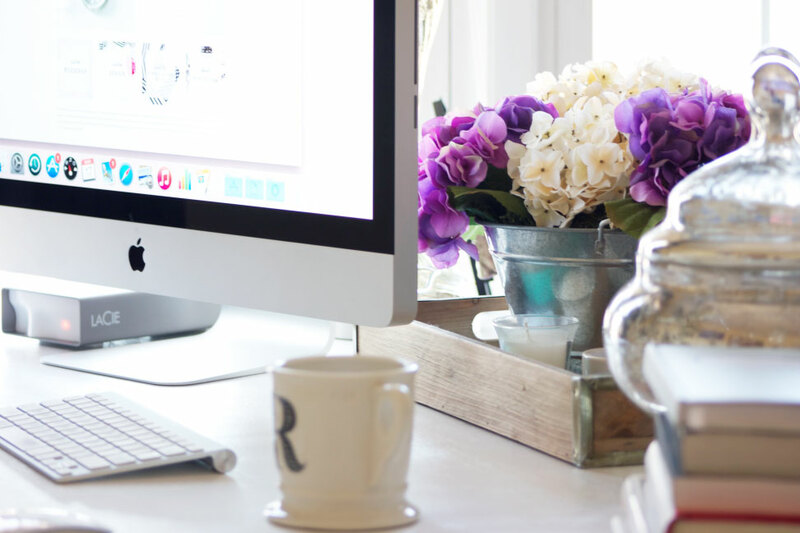 If you are looking to create a simple, beautiful, and sophisticated brand for your business, your wedding, or even just a brand for the lifestyle you want to live then Rachel is your girl! She creates designs that scream sophisticated style and joy. Joy being a key word for Rachel. She loves to create products that will bring her clients joy. Joy when they look at the beautiful products they can get in her shop or custom invitations and stationary that capture the joy of a client’s business, event, or wedding day. Read on to learn more about Rachel, her business, and the products and services she offers. Rachel: Before starting Printed Ink, I was a website designer with a local company. I loved what I did there, and owning my own business was never really on my radar until a couple of years ago. I was designing invitations and stationery on the side and what started as a hobby turned in to the passionate business that I own today. In 2012 I started Printed Ink (somewhat on a whim) and slowly transitioned from being a website designer to working on Printed Ink full time. It is never something I imagined I would do, but it has grown into an extension of my heart and a way to pair my passion for design and helping others. I never imagined that I would be a business owner and be able to do this on my own, but it has been the best life experience and one of the best decisions I have ever made. Rachel: I started with designing invitations and cards for friends, and it slowly grew into much more. Now I create meaningful products that combine style and function. I am passionate about simple yet significant design and using that to help others find the joy and purpose in their life. 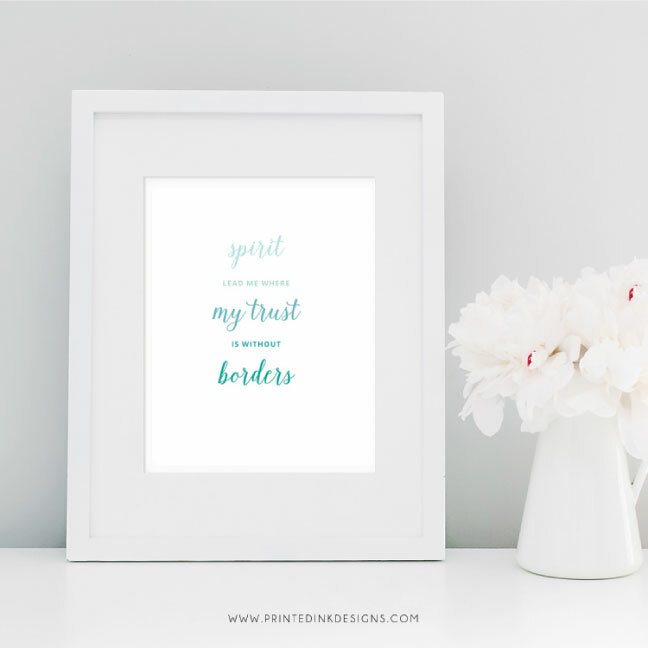 With Printed Ink, I am able to inspire and encourage others to live their life with joy and intention. Like most small business owners, I have faced many challenges in my first few years in business. The biggest challenge I have had to face is learning how to do it all on my own. I had the creative part down from the start, but learning how to do the business side of things has been an experience. To this day, I am continuing to grow and learn in marketing, selling, finance, and overall business management. F.I.N.D.S. : Your website is gorgeous. I love the message of Joy that you have incorporated into your business! Can you tell us about all the services you offer and how all that ties together? Rachel: I have a heart for building strong brands that truly represent you, designing wedding stationery that helps tell each unique love story, and creating little details for life’s celebrations. I have a soft spot for beautiful and inspirational things that help you find the joy in your life. I believe that everything should be built on a strong foundation of faith and I carry that across my brand and business. Each of the services that I offer comes back to the joy that it brings you in your life. For branding, I love to help people build a strong, beautiful brand that brings them joy every time they see it. I love creating beautiful wedding designs that help each couple celebrate their love and this joyous time in their life. And for every item in my shop, my goal is that it will bring that little bit of joy, inspiration, or encouragement that someone really needed. F.I.N.D.S. : You have a great selection of product for home and office. I for one am addicted to notebooks/sketchbooks, I can never have too many and yours are gorgeous. Can you tell us a little about the products you sell? Do you do custom work for that as well? Rachel: The products I sell in my shop are ones that I would love to have for myself. My way of quality control is to sell items that I would actually use myself – and most times I have one of everything too. 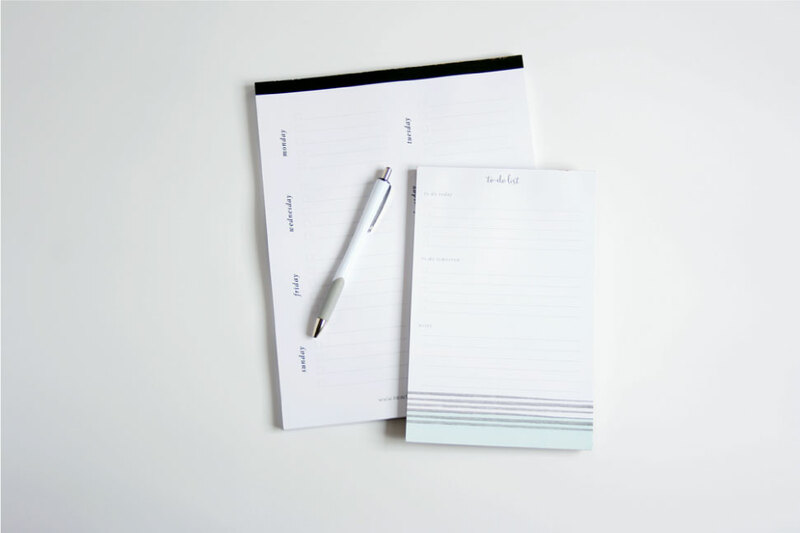 As a lover of all things paper and anything that makes my life a little easier or more enjoyable, I love to create things that combine function, simple design, and of course a little joy. I am currently only taking custom orders for the cards and invitations that I design. F.I.N.D.S. : Do you have any favorite designers/artists that you draw your inspiration from? Rachel: I wouldn’t say that I have a favorite in particular, but I love pulling inspiration from all aspects of life including home decor, fashion, florals, and everything in between. Rachel: My specific design process is a little different depending on what I am working on, but I can say that I always like to start with the inspiration. I love finding inspiration in unexpected places and putting together a mood board to help define the style of whatever it is I am designing. I do this for branding, weddings, and even for products I sell in the shop. This always helps me to have a good start to the design and serves as a guide for the style of what I am creating. F.I.N.D.S. : Do you have any favorite tools of the trade? This could be art supplies, books you reference, magazines for inspiration, etc. Anything you use on a regular basis that is your go to item or items. Rachel: I would have to say I use Pinterest most for finding inspiration, but I also love looking at magazines and books for ideas. My favorite magazine for inspiration is Southern Weddings, and while this is mainly inspiring for weddings, I love the overall style of the magazine and I can draw inspiration for other designs as well. I also always have a camera, sketchbook, and notepads nearby. Rachel: I am a business owner and a mom of a toddler too so a typical work day for me is not very typical. Every day is different, but I strive to have a routine and schedule to keep me on track. Most days, I wake up around 6:00 AM to get dressed, answer emails, and get a head start on the work for the day before my little one wakes up around 7:30. After breakfast and some morning playtime, I usually answer more emails and work on my orders for the day. During nap time is when I get the bulk of my work done, and sometimes I am left to finish things after he goes to bed. I spilt my work load and focus on one main task each day of the week. Marketing/social media, blogging, product development, and admin tasks are the main areas, but I also work on filling orders and client projects every day. Life can get a little crazy some days, and sometimes things don’t get done, but I am incredibly thankful to be able to stay home with him and have such a flexible business that allows me to do this. Rachel: I do love to travel, but especially now with a little one I don’t do it as often as I would like. A favorite family vacation spot is always Destin, Florida for the quiet beaches and beautiful water, but I would have to say my all-time favorite destination is Paris, France. I travelled to London, Paris, and Rome a couple of years ago and it was an amazing trip. I loved seeing all of the history meshed with modern day. Rachel: The best piece of advice I can give to someone starting their own creative business is to take time to develop your brand and business in the beginning. It is important to have a clear mission, focus, and plan so that you have a direction for your business. Take the time in the beginning to develop a strong brand that can carry you for years to come and set yourself up with systems to reach your goals and follow your plan. 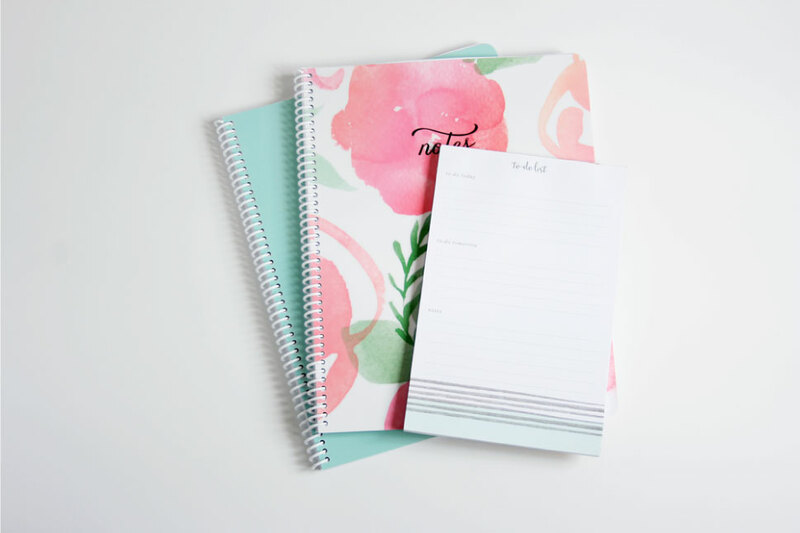 If you would like to work with Rachel and Printed Ink Designs be sure to check out her website at www.printedinkdesigns.com you can send Rachel an email at rachel@printedinkdesigns.com. All of the products offered can also be found on the website. Be sure to check it out. She has great products for the home and office! We just may need to get some of her notebooks/journals for ourselves! You can also find Rachel on Facebook, Twitter, Pinterest, and Instagram.